Each city has a signature neighborhood where the people are young, good looking, and dress in the most fashionista way. You can see some Helsinki street styles on a page called Hel Looks , and you can find all the relevant boutiques in a single district, called the Design District of Helsinki. But all these hipsters reside, and have their shops, cheap bars and cool cafés in another part of Helsinki: the Kallio neighborhood. I don’t like the word “hipster” very much, I don’t know why. Residing currently in Berlin, I’m confronted with it constantly, which is quite tiresome, especially when heard from tourists who came here attracted by things that they read online. They are the “post-hipster pack”, the followers. The pioneers came here between 2005 and 2007 when the word “hipster” was unheard of and it was better that way. We suggest you start your exploration of the Kallio are where Google Maps puts its’ center and get lost in the area to find your most beloved corner by yourself. Google says the center is in the Suonionkatu street, next to the iconic Kallio church, and we believe it to be true. 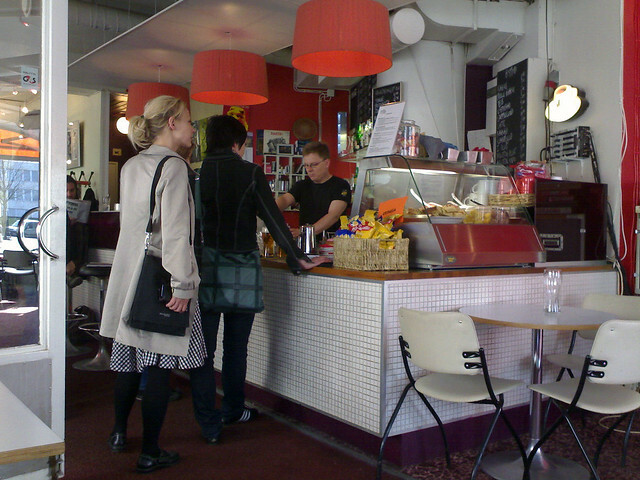 Gentrification happened to Kallio as it did to other blue-collard working class neighborhoods fairly close to the city centers. It attracted students, designers and young artists (we are not sure how starving), that were in dire need of cheap bars and flats. These people brought onto themselves the carefully designed cool cafés and the young entrepreneurs and professionals, that had some money but still wanted to feel cool. Finally, all these people stay and start growing old, accumulating more money, and thus making the cafés become more expensive, the beers even more expensive, and the rents out of hand for most people. It is “Ley de vida” (Law of Life) in the cities and the only thing you can do about it is to start looking for the next cool neighborhood or pay more. A process that ends when the city is expensive, everything is overdesigned and you can’t find a mom-and-pop style store anywhere. I have seen this happen in front of my eyes, and I am the “moving to the next neighborhood” kind of guy. So far. Kallio isn’t that far into this process, luckily. 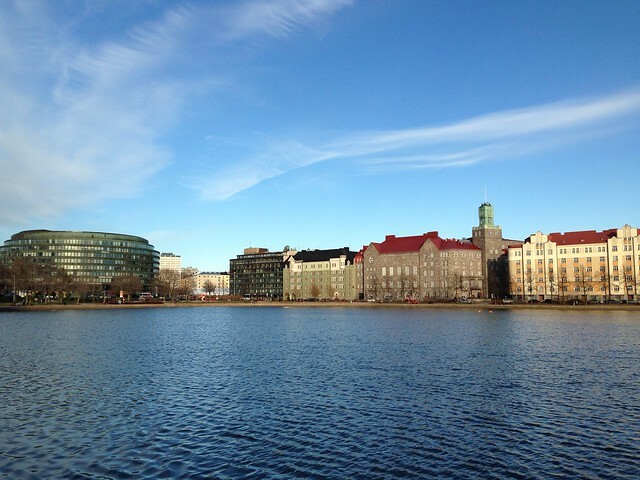 It is near the city center and is accessible with the “touristic” tram (the one that passes through all the places that you must see in Helsinki ), and thus it is one more stop for those who want to know the city center, in its widest meaning. I’m not going to suggest a list of bars and restaurants to check out. The best is to get lost in the area and go into the places that attract you by their look and atmosphere. 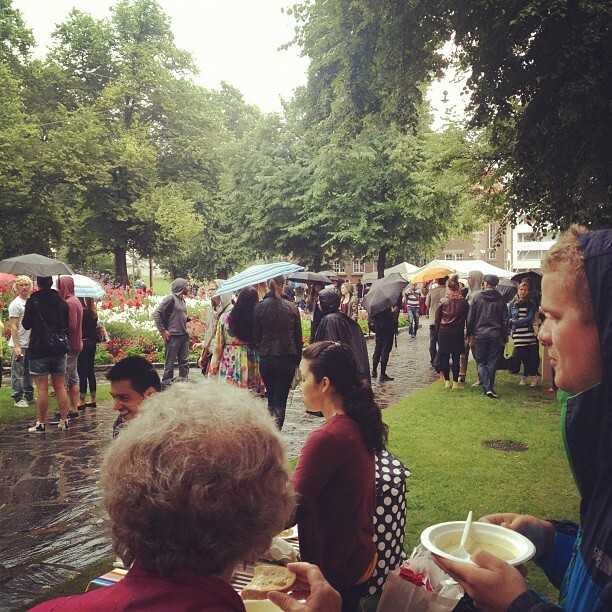 There are no “must-see” places in Kallio, in my opinion, but there is so much diversity in terms of bars, restaurants, stores, boutiques, and thrift stores, that it is better to see and choose in the moment. Two specific tips, if this is what you are looking for. An iconic store called “Made in Kallio” (street: Vaasankatu 14), that combines a bar & café and a design shop; and also the Finnish saunas in the area to relax: They are called Arla (in the street Kaarlenkatu 15) and Kotiharju (Harjutorinkatu 1). 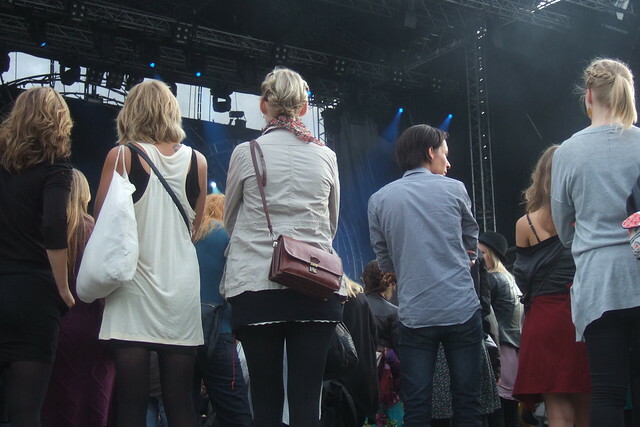 If you are interested in the hipster ‘hood of other Nordic (or Scandinavian)  countries, they are Södermalm in Stockholm, Nørrebro in Copenhague, Grünerløkka in Oslo. 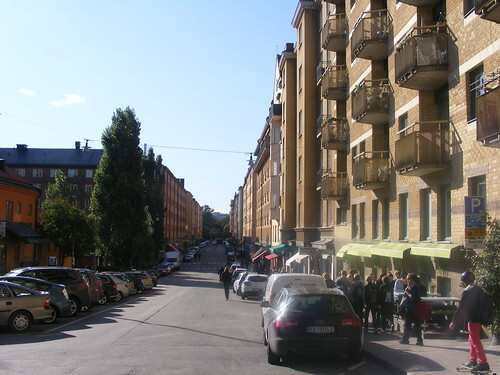 Södermalm in Stockholm: filled with hipsters. Do you like to go to the hipster neighborhood of a city you visit? It is usually a synonym of good cafés and good looking people, something that I can’t possibly object to.